Dang! This event has already taken place. >> Want to see our Top Picks for this week instead? On August 25th and August 26th, SoMa StrEat Food Park is getting down to the local roots with Bay Area beats and a special lineup of vendors serving mouth-watering, eye-catching, Instagram-worthy ube eats. Update: Tickets are officially SOLD OUT and tickets will not be available when doors open; however, you can join the waitlist or arrive late. When a ticketed guest has had their ube-fill and decides to leave, walk-ups will be permitted to join the fun, based on venue capacity. They can’t guarantee a time, but they recommend aiming for after 3 pm. 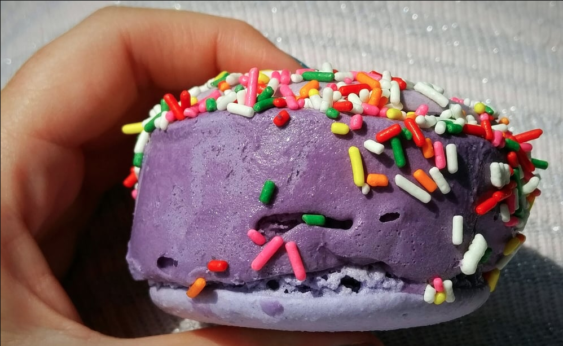 Ube is taking the food-scene by storm and they’re about to make it purple rain. Grab your little sweet potatoes and ubaes and head on down to The Ube’z Club where you can indulge in your favorite ultraviolet, granddaddy purple, and lilac-haze superfood. Take your pick from ube cupcake flans, ube ice cream macarons, ube cake pops, ube rice krispies, ube ice cream bars, and more. Ghost ride the whip over to the bar and get your purple drank fill with bottomless, house-made, purple sangrias for $25. Plus, they’ll be “Doin’ it Movin” it to DJ’d Bay Area slaps. 2019 San Francisco Cinco De Mayo Festival | Mission Dist.